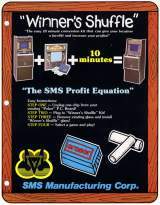 A Arcade Video Game KIT by SMS Mfg. Winner's Shuffle © 198? SMS Mfg. Corp.